PHOTO 1. Pinot noir grape (Hendrik Holler, Wosa Library). Some of the most expensive wines in the world are made from Pinot noir. These wines, however, differ considerably and are usually light in colour with subtle flavours. 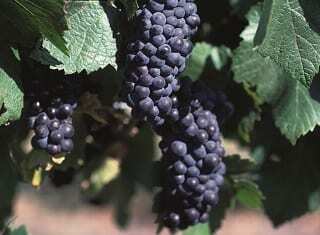 Pinot noir is also very sensitive for different vine diseases and susceptible to genetic mutations. The question consequently arises why it is so unique. Only 117 000 hectares Pinot noir are planted globally of which the most are in France, USA, Germany, New Zealand, Italy, Australia, Chile, Argentina and South Africa, in decreasing order of surface. It occurs mainly in the cooler regions of these countries. Pinot noir wines are usually light in colour and has medium low tannin concentrations and medium high acid concentrations. Different flavours, like cranberry, cherry, raspberry, vanillin, cloves, mushrooms, tobacco and caramel, are associated with it and depending on the specific style, the maturation potential of Pinot noir can vary between two to 18 years. The New Zealand wine region, Central Otago, has only become known for premium Pinot noir over the last 20 to 30 years and a spectrum of different styles have been developed. Otago has a semi-continental climate, which can cause considerable vintage differences, varying from short warm to long cold seasons, which can consequently cause wine style differences. New Zealand also has some of the highest ultraviolet radiations, as a result of the shorter distance to the sun and the limited filter action of the dust layer in the atmosphere. Longer, cold seasons cause more ultraviolet exposure with subsequent more potential fruit character and lower sugar concentrations, but higher natural acid concentrations at ripening. The slaty soils of Otago also impart prominent tannins to the wines and winemakers do not need to apply excessive extraction to ensure enough body to the wines. The altitude also influences the wine style, seeing that it has a major influence on the micro-climate and soil character. Altitude differences can cause weekly vintage differences and higher soils are more eroded, which influence the slaty loam and lime composition of soils. The evaluation and subsequent adjustment of winemaking processes in Otago have contributed to the change from full-bodied, tannic wines to more delicate, fruity wines. The winemaker at Prophet’s Rock cellar investigated and implemented various innovative actions. One of these is the evaluation of the extraction processes from the skins. It must be differentiated between natural and mechanical extraction processes. Since the delivery of grapes at the cellar and the originating of a grapes-juice mixture, natural extraction from the skins commences and circumstances, like temperature, or actions, like pump overs or mixing, will further influence it. 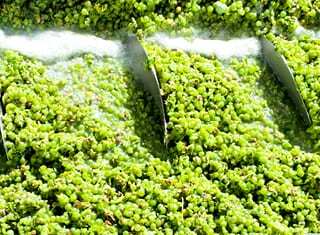 ● Grapes are picked cold between 8 and 14°C and completely destalked. Others cellars did initially apply whole-bunch pressing to obtain more fruit and tannins in Pinot noir. Prophet’s Rock does, however, believe that lignification differs between vintages and if the lignification is not complete, the green stalks can impart an undesirable, vegetal character to the wine. No sulphur dioxide is usually added after destalking, except when the temperature of the grapes is higher, in which case 30 mg/ℓ is added. Further sulphur dioxide additions will only be made after the completion of malolactic fermentation (MLF). ● Cold soaking occurs naturally for a few days at the lower temperature in open fermenters until the spontaneous fermentation commences. It leads to a soft, slow extraction from the skins. No yeast inoculation is applied. The spontaneous fermentation can last up to 30 days. ● Maceration during alcoholic fermentation is drastic, because the influence of alcohol and heat is intensified by mixing processes. 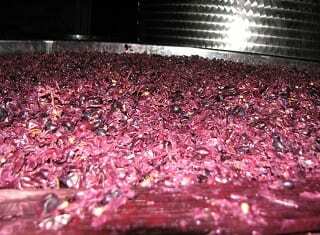 Traditionally various pump overs or mixing actions were applied daily to obtain the maximum colour and tannins extraction. Prophet’s Rock does, however, believe that too much emphasis was placed on colour and the focus should rather be on the optimising of flavour extraction. A more delicate extraction process is consequently applied. Prior to fermentation, the top layer of skins is mixed manually daily and kept under an inert atmosphere. After the start of fermentation, the cap is kept wet daily by using a garden sprayer and usually only one punch down is given during the peak of fermentation. Usually only two short pump overs are applied during fermentation and depending on the reductivity of the wine, it will be applied with or without aeration. Vintages differences do, however, play a role in the extraction protocol that is applied. 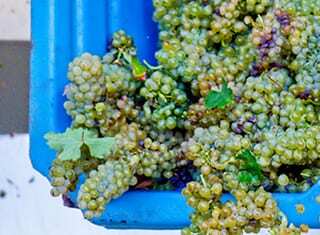 If the ripening is very slow and phenolic ripeness is delayed, which can cause a vegetal character, even less mechanical extraction is preferred to limit the vegetal character. In such cases lighter, fruity wines, without a vegetal character are preferred. ● After completion of alcoholic fermentation, skins are pressed as soon as possible. Skin contact after fermentation can lead to undesirable bitterness, hardness and unbalanced wines. ● Spontaneous MLF is allowed which can, as a result of the cold, last up to nine months after the harvest. The necessary sulphur dioxide adjustment is made after that. Prophet’s Rock believes that the limited extraction protocol followed by them, leads to lighter coloured wines, but more fruit flavours and a balanced tannin structure (Brown, 2018). PHOTO 2. 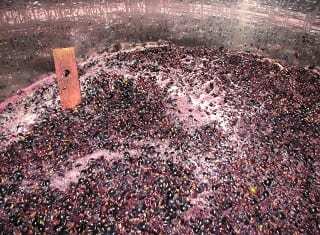 Extraction during red wine fermentation. FIGURE 1. 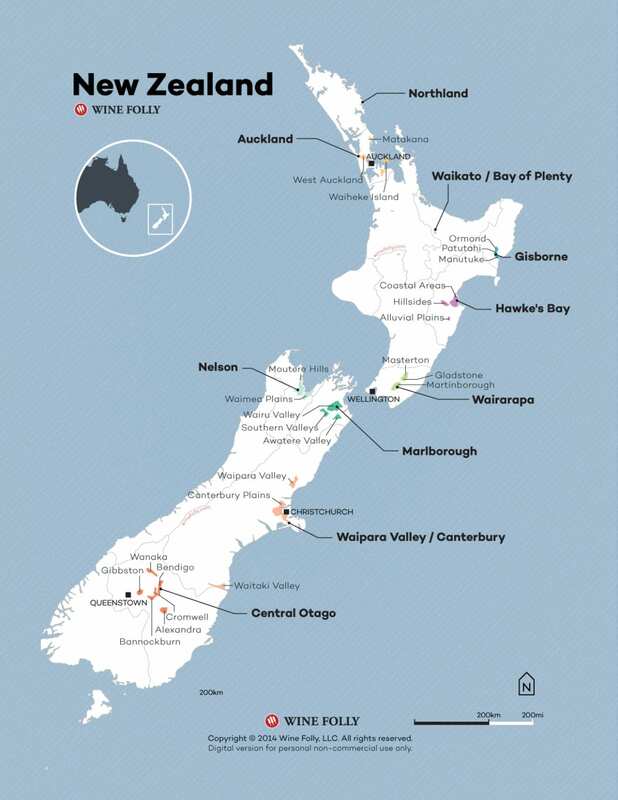 New Zealand wine regions. Brown, E.C., 2018. Reducing extraction in Pinot noir: Thoughts from Prophet’s Rock winemaker, Paul Pujol. Wine Business Monthly, May 2018: 54 – 58.